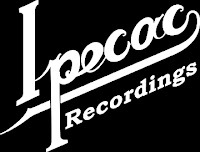 Ipeac Recordings is an independent label based in California. Founded in April of 1999 by Mike Patton (Faith No More, Mr. Bungle, Peeping Tom, Fantômas, and Mondo Cane) and Greg Wreckman (Mike Patton's manager). The label was initially created to release the first Fantômas album after shopping the release to some bigger labels and being unhappy with the offers. Currently the label releases and distributes other artists as well as Mike Patton's plethora or musical projects and collaborations. One of the most interesting things about Ipecac Recordings is their policy of signing bands to only one-album contracts. Wreckman was quoted as saying, "when starting our label we decided that it did not feel right to "own" the artists on our label. Instead we would rent or license records from artists that we liked". 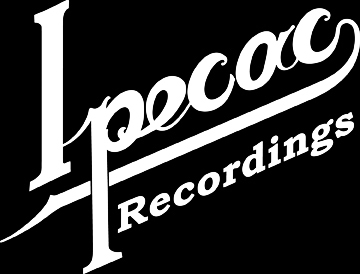 With this philosophy Ipecac Recordings has found them in a unique position of being able to release the music they enjoy and create on their own terms which leave both the artists and label both happy. In August of 2006 Ipecac Recordings signed an exclusive distribution deal with Fontana. Fontana is the independent distribution sector of UMG (Universal Music Group - the world's leading music company). Fontana provides unparalleled sales and marketing support as well as back office services. They distribute for over 60 labels in addition to distributing certain projects from UMG labels worldwide. Due to this agreement Fontana will work directly and closely with Ipecac Recordings on expanding the label's reach in the marketplace, building and extending its brand and helping them to capitalize on the many new and emerging opportunities across all retail and new media platforms and formats. Since the agreement Ipecac has released multiple releases that have found success and support from fans and critics alike. Mike Patton's project Peeping Tom's first single "Mojo" debuted at #1 on Billboard's Heatseekers chart in addition to becoming one of the most added songs eat Modern Rock radio. Furthermore, Mike Patton's "Mondo Cane" debuted as #2 on the Billboard Classical charts and #7 on the Top New Artist Album (Heatseekers) chart. With releases ranging from the heaviness of Fantômas to the smooth stylings of Peeping Tom to the classical sounds of Mondo Cane Ipecac Recordings is quickly become a force to be reckoned with. Now with this deal with Fontana the end seems nowhere in sight for the very unique label founded by Patton and Wreckman.